Here at AHRN.com, we’re always looking for talented writers to contribute to our website. Contributors do not get paid for their content. You would, however, get exposure to our audience. In 2018, we had 24 million page views on AHRN.com. We promote all articles via social media and spend a small amount of money on Facebook to boost posts–further expanding the reach of your content. We get a lot of contributor requests and cannot respond to all of them. If you do not hear from us in a month, assume that we did not accept your submission. Please read our guidelines below and only submit an article if it meets our standards. Topics: The goal of AHRN is to connect the military community with trusted housing and resources. We prioritize housing but post a variety of military-focused articles on our blog. Popular topics include your move, listing a home, home search, and what to do after you move. Military experience is a must as we’re here to help our readers navigate relocation. 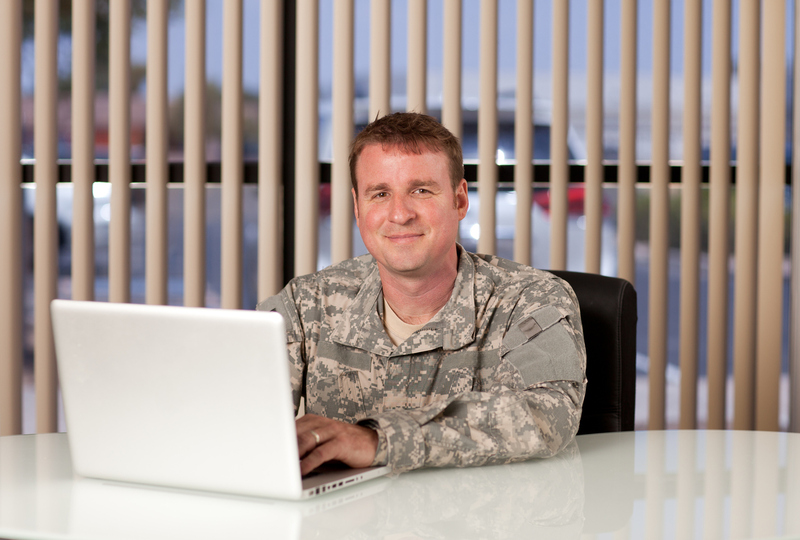 The AHRN blog is a trustworthy community for advice, insight, tips, and general content that relates to military members. Length: Articles must be between 800–1,200 words. Nothing more and nothing less. Content types: Your article should contain multiple types of media. It must have an image and if you can find a video that relates to the topic, then add it from YouTube. This helps with SEO and readers prefer different types of content, so let’s give them what they want. If you can’t find a video, that’s fine. Images: Submit at least one image with your article. Make sure you provide your image source. Headlines: Make sure your headlines are catchy and contain your target keyword towards the front of the title. Don’t make it click bait. Tone & Voice: No one likes reading boring articles. Make sure your tone is personal and professional, but not uptight. AHRN is about being genuine and helping military members and their families live as seamlessly as possible. This is a good example. Grammar: Make sure your spelling and grammar are accurate. Useful: We enjoy articles that teach people how to do things or answer questions. Useful articles get shared and do well on search engines. If you are showing how to use a tool, make sure you take the time to screenshot or better yet, make a video. Effort is everything. Links: Don’t link to your own website, your clients’ websites, or your own product. You will get one do-follow link in your author profile. We reserve the right to remove, change, or add links that add value to the article. Here are the basic SEO rules to follow. If any of this is incomplete, we will optimize for SEO. Learning this process will help you create content that ranks well on search engines like Google. Keyword: You should create content that people are searching for. Know the keyword you’re trying to target, and include that in your submission so we can further optimize the article. Article title: The keyword should be towards the front of your title if possible. Don’t force this if you can’t make it happen naturally. H1-H3: The keyword and synonyms of your keyword should be in an H1, H2, and H3 tag. There should only be one H1 tag on the page. Article words: The keyword and synonyms of the keyword should be in the article. Make it natural and don’t add a keyword for no reason. Name images: Save and label the image the same as the target keyword for the article. If the target keyword is “water” then your image should be named water.jpg. Internal links: Link to pages and articles on AHRN.com that are relevant to your article. Example of internal linking under the “topics” category above. Please fill out this form to be considered. You have to scroll the form to fill out the full thing.